Easter is a time for candy, chocolate, and bunny rabbits…none of which a dog should be allowed to eat. Instead, Acme Canine Resource Center will host its 7th annual doggie Easter egg hunt, where your dog can come enjoy the holiday traditions with some canine-friendly treats. The whole family is invited, but the hunting is up to the hounds. If your dog is the first to find the Golden Egg, you will win an Easter basket valued at over $50! Additional prizes will also be rewarded. We’ll be taking photos of your dog with Easter Bunny ears to document this fun event. The fun begins Sunday, April 12, 2015. Registration starts at 12:30 PM; hunt begins promptly at 1:00 PM. Entry fee is $10 with pre-registration/$20 at door. Profits going to help train Morrow County Shelter dogs. To reserve your spot, contact dogs@acmecanine.com or call (740) 548-1717. About Acme Canine Resource Center: Giving back to the community is part of Acme Canine Resource Center’s purpose, and this event is just one of many charitable activities in which Acme participates. Acme volunteers Reading Dogs to schools and libraries, sponsors an Olentangy Little League team, and gives demo dog presentations to local schools and organizations. 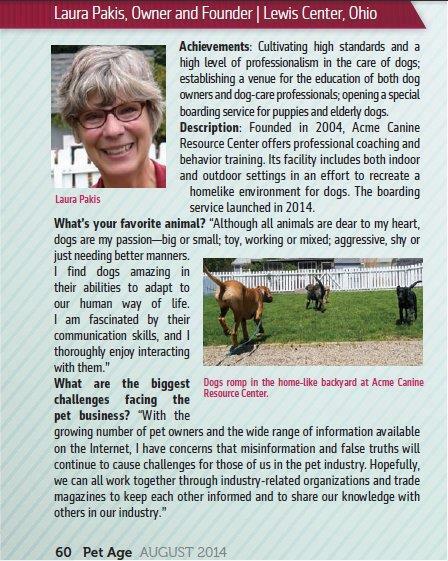 Acme Canine’s facility offers a spacious, 1200-square-foot, indoor space and 3 outdoor multipurpose areas for year-round fun and classes, monthly activities and workshops serving the greater Columbus, Ohio area. The facility’s kennels are welcoming, clean, and provide a home-like atmosphere for dogs boarding at Acme; the staff is well-trained in canine behavior and accredited in dog training and pet boarding, so you can be assured your dog is in great hands. Doggie daycare in a structured, dogcentric environment is also a service offered Mondays through Fridays. This entry was posted in The History of Acme Canine and tagged Acme Canine, Acme Canine blog, April Dog event, Dog Easter egg hunt, Dog Egg Hunt, Easter Egg hunt for Dogs, Spike's Blog, squareup. Bookmark the permalink.